Sony’s mirrorless cameras have long been some of the best you can buy, and its new A6300 is positively loaded, and pleasingly compact. It’ll cost you of course. 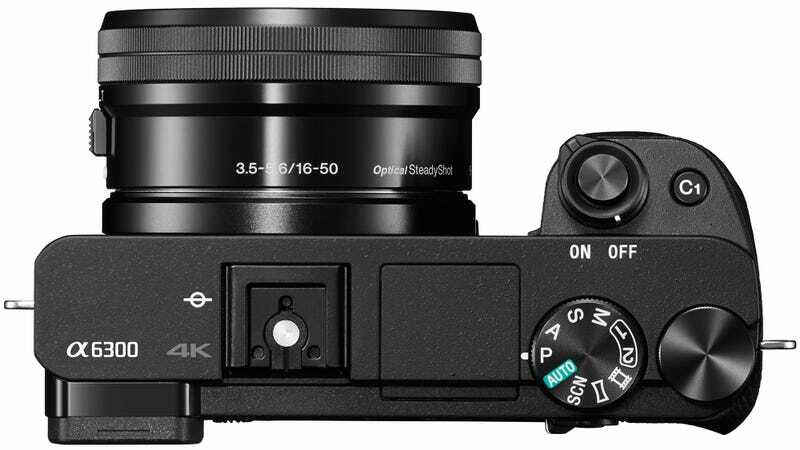 The new update to the years-old A6000 brings a lot to the table. The top-line feature is 4K video capture. It’ll also shoot 1920 x 1080 Full HD video at up to 120 frames per second so you can make some slow-motion footage if you want. According to Sony, the camera sports the world’s fastest autofocus, which you should be very wary of since basically every manufacturer always claims their camera has the fastest autofocus out there. In particular, Sony claims that this camera can lock on in as little as .05 seconds, which admittedly is very fast. How does it do it? By packing more autofocus sensor points on the image sensor than any other interchangeable-lens camera. Using these new points, the camera adds one new focus mode, called “high-density Tracking AF”. In short, this mode activates a very high number of focus points around a subject — 7.5 times more densely on the A6000. 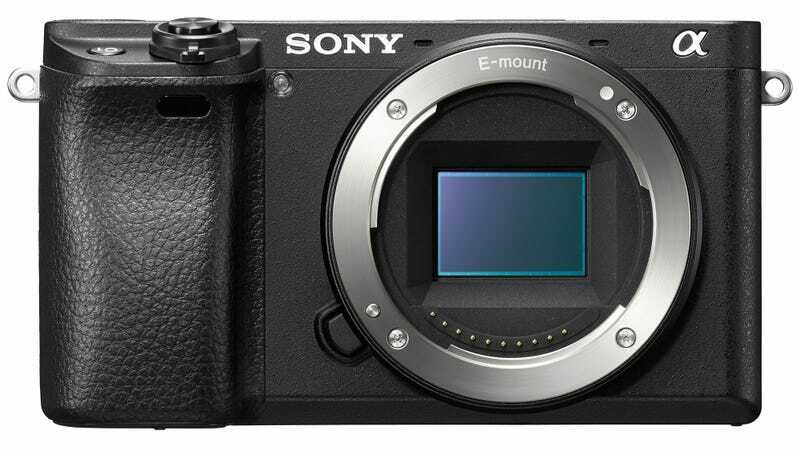 Presumably this will result in some accuracy improvements, especially in situations where you’re tracking a moving subject and making use of the top continuous shooting speed of 11 shots per second, as Sony points out in the press materials. 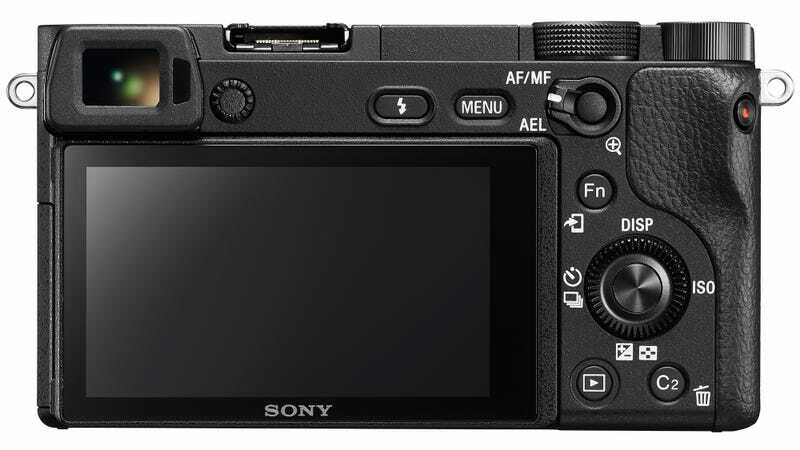 Like all of Sony’s more inexpensive mirrorless interchangeable-lens cameras, the A6300 sports an APS-C sensor. Like its predecessor, this sensor has 24 megapixel resolution. The Bionz X processor allows you to shoot at an ISO sensitivity of up to 51000. One final note, Sony has upgraded the viewfinder to 2.4 million dots—nearly twice the resolution of the previous model. A good viewfinder really makes the difference on a mirrorless camera, which by definition doesn’t have an optical viewfinder. The camera body will cost $1,000 in the US when it arrives in March, though there is no word on UK pricing at the moment. This isn’t the first mirrorless camera to offer 4K, and it has some tough competition from some pretty beastly Panasonic shooters. Still, Sony’s newest offering should be one of the top contenders for your mirrorless dollar. We’ll let you know how it goes when we try it.